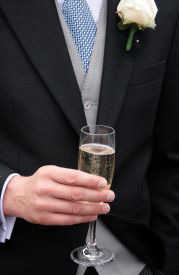 The Order of Wedding Speeches and Toasts designates who gives a wedding speech or toast at the reception and depends primarily on whether you’re keeping with tradition or you want to do something unique for your wedding. In addition to the order, the bride and groom will have to decide when they want to hold the speeches and toasts section during the agenda’s timeline. Usually the bride and groom or the planners will choose who will take part in this event. Once the agenda is drawn up the Order of Wedding Speeches and Toasts will determine who will be speaking and when they will be speaking. 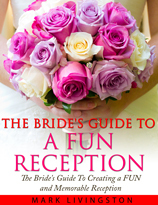 In most cases, various members of the bridal party will expect to give a speech or toast. This will include the best man, and the maid or matron of honor, in particular, and can also include the bridesmaids. Close members of the family including the father of the bride, mother of the bride, father of the groom, and mother of the groom will usually want to give a speech. Choose those people who are willing to give a speech or toast. You don’t want to choose people who are reluctant to talk in public and are so nervous about public speaking that they embarrass themselves – and you – in front of your guests. It’s entirely appropriate to give speakers guidelines on what is appropriate or inappropriate content for their speeches as well as how long their speech should last. In this case, buying the speakers speech samples or templates can be a thoughtful gift that pays dividends by making the speeches polished and memorable instead of an embarrassing nightmare. If you’re the bride or groom you can also enlist the help of the Master of Ceremonies in reviewing the speech guidelines with the speakers. Of course, the groom is also expected to address his guests. And these days, it’s not uncommon for the bride to say a few words of thanks as well. 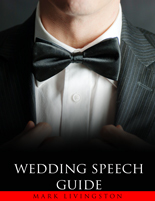 Giving a groom or bride speech is a personal one. 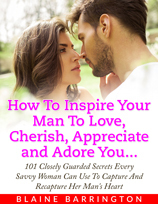 If the very thought terrifies you – and you’re either the bride or groom – then it’s entirely appropriate to ask the Master of Ceremonies to stand in and make a speech instead or to forgo this event entirely except for having the best man make a toast. One creative way to order the toasts and speeches is to know beforehand what will be said. First, there are no surprises when it comes to the appropriateness of the content – including anecdotes, wedding jokes, or other humor. Secondly, it enables the MC to get to know the speakers so he or she can create introductions for each of them. 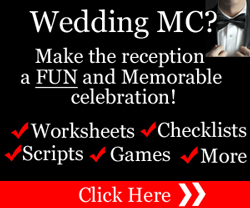 Thirdly, the MC can finish this event on a high note which keeps the tempo of the reception upbeat as he or she leads into the next event on the agenda. For example, if there is a speech which has funny wedding jokes or humor in it then you might want to end this event with this particular speaker. Alternatively, you might want to start the event with a hilariously funny presentation – which could, for example, include a slideshow. This latter alternative is more likely to attract the guests’ attention especially if some feel from past experience at other receptions that this event will be long and boring. If you choose this creative format for ordering who speaks, it’s appropriate for the Master of Ceremonies to determine the lineup since the bride and groom should not be made aware of what will be said in their honor at their reception. There are two exceptions to the predetermined order. First, there are the “open” speeches and toasts part of the event. In this situation, the floor is open to anyone to give a speech or toast after the formal lineup of speakers has finished. This can include friends, family, and colleagues. The disadvantage to this is that the event can drag on since these speeches and toasts are not prepared beforehand and can become long winded and repetitive. In some cases they can also become embarrassing since sometimes spontaneity overrides good taste and common sense in an attempt to be humorous. The second exception is when one of the speakers is unavoidably absent or is expected to be absent but wants to send his or her good wishes to the newlyweds by way of a pre-recorded voice or video message. It’s up to the wedding planners or the bride and groom to determine when the pre-recorded message will be played. When to hold the speeches and toasts event during the reception depends on the agenda. It can also depend on traditions in the region or country you live. 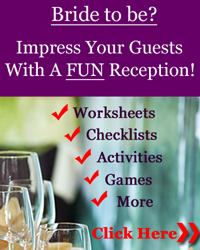 One other thing to consider is the guests – you have to decide where in the agenda it is best for this event to be held so the guests are less likely to be distracted. Choose a time when there are few distractions. The serving of dinner or the clearing of tables, for example, are not good times. You can break up the speeches and toasts or you can have them all as one event. For example, you could have the Father of the bride and the Father of the groom give their speeches and toasts before the main meal with the other presentations later on. Alternatively, this event could be held before dinner – which is quite common – or right after the main meal or some other event on the agenda. If time is at a premium, consider having some people give their speeches or toasts at one of the pre-wedding parties. The rehearsal dinner, for example, is a good time for tributes and good wishes from family and friends or those who would not normally be required to give a tribute at the reception. Whichever wedding speeches order you ultimately decide upon, with careful planning it can become one of the most memorable events of your reception.